Who Ya Gonna Call? The Guys? The Women? Or…? 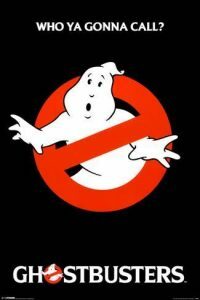 A couple of weeks ago the word out of Hollywood was that a new Ghostbusters movie would be hitting the silver screen in 2020. It would be directed by Jason Reitman, whose dad, Ivan, directed the original Ghostbusters in 1984. Since that classic film is one of my favorite flicks of all time, the announcement surely caught my attention. But it also left me a bit dubious. Was this supposed to be a part of the original Ghostbusters universe, which would make it a sequel to Ghostbusters 2 (1989)? Or a sequel to the 2016 reboot, which starred four incredibly funny and talented women? Or a whole other reboot altogether? And, as is the way with “development hell,” would it even get off the ground, considering that in 2017 the announced release date would be sometime in 2019? I gotta say, there’s somethin’ strange in the neighborhood. Circumstances prevent me from going into greater detail this week, but check out next week’s post. Writing about the Ghostbusters Spook-Verse has long been in the works.